The NCAA men’s basketball committee has done its work, and the bracket is now set. Before critiquing the committee’s handiwork, let it be said that any ideal bracketing system we would design would of course duplicate the overwhelming majority of what the NCAA just did. Our Perfect Bracketing Machine would have given No. 1 seeds to Florida, Arizona and Wichita State, would have had teams like Nebraska just barely making the cut, and would have buried the nondescript likes of Memphis and Kansas State in 8-9 games. The NCAA gets things mostly correct annually. But let’s talk about the twin elephants in the room, Louisville’s seed and NC State’s existence. The NCAA does not select and seed based on a search for the best teams. If it did, it would have seeded the Cardinals higher and selected SMU instead of NC State. The NCAA should instead say that teams should build the best season achievement profiles they can. How one goes about evaluating season achievement profiles will be in the eye of the beholder. The NCAA says the RPI doesn’t matter as much as everyone thinks, and strictly speaking this is correct. Southern Miss and Toledo both sport gaudy RPIs in the 30s, and yet the Golden Eagles and Rockets were left high and dry. (Appropriately enough, the two will meet in the first round of the NIT.) Still, saying the RPI doesn’t matter all that much is kind of like saying a person who sends 67 emails and one telegram doesn’t really rely on telegrams all that much. And give the NCAA credit. To still be using the RPI in 2014 is a remarkable piece of inertia. It’s not easy to be that inert. Last night committee chair Ron Wellman said that a significant factor working in NC State’s favor was the fact that the Wolfpack recorded three top-50 wins on the road. And with the words “top-50” we are, unavoidably, talking about the RPI and what it’s still doing here. The justifiable bewilderment over why the RPI still exists has precluded what should have been a prior discussion over rating systems, period. Do we need them? And even if the answer there is “yes” with respect to daily life, we can still ask whether we need them in order to make just and coherent brackets. That’s fine. The answer to “How many rating systems do we need to use?” could conceivably be “zero.” Or, alternately, it could be “a composite index made up of several.” But under no circumstances imaginable will that answer ever be “one.” The NCAA insists their answer isn’t “one” either, but merely letting something as erratic and misconceived as the RPI in the room in 2014 requires the commitment of a true believer. In my experience the RPI will be off by 50 spots or more about seven percent of the time. It’s unworthy of its supporters, who are without exception nice people who think they’re defending an important point regarding the importance of winning. It is indeed important to win games, and we should honor that with a process that doesn’t have the hiccups factory-installed. The NCAA has been doing this bracketing thing for a long time, and in the small scale of day-to-day task completion that is a clear benefit. The men and women in Indianapolis know how this sausage gets made. I do wonder, though, if in a larger sense this kind of institutional knowledge and task repetition is precisely the problem here. The NCAA takes the committee out to the same Italian restaurant on the same day of the same week every year and then retreats to the same meeting room in the same hotel where the same cleaning woman is allowed in to the exclusion of everyone else. As it was and ever shall be. 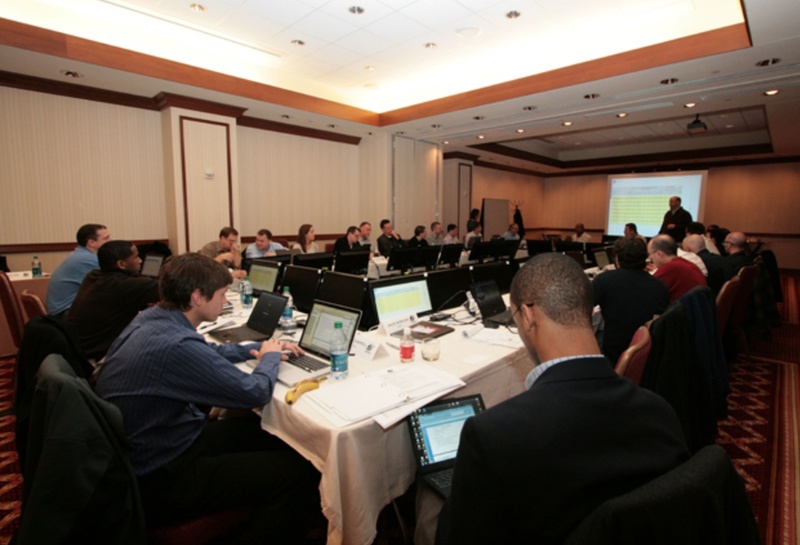 A few years ago the NCAA had an inspired idea and invited the press in for a mock selection exercise. It may be time to consider whether that idea couldn’t be profitably exported to the NCAA itself. I could envision NCAA staffers benefiting from a mock reality exercise outside of Fortress Indianapolis sometime. Better still drop the “exercise.” Do the actual selection in New York next year. Or in Seattle. Or in Kansas City, Fargo, or Billings, Montana, anywhere except downtown Indianapolis yet again. Shake this thing up for the first time in over 30 years. Consider the possibility — as all organizations without billions in revenue locked in years in advance have to daily — that routine is not synonymous with ideal. This entry was posted in hoops, in many ways the work of a critic is easy, stay off my side on March 17, 2014 by johngasaway.